Are you the ultimate superhero movie fan? 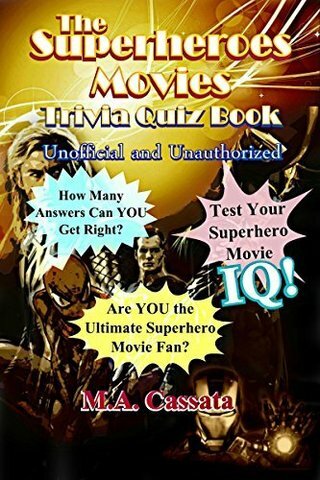 If so, you will enjoy this entertaining and equally as challenging 160 question quiz pop culture book. Test your knowledge on Batman, Superman, Spider-Man, Iron Man, Thor, Captain America and many more big screen superheroes. There’s also a few of your favorite villains tossed in for good measure. Play along with friends and family to see who is the biggest superhero movie fan of them all! But most of all, have fun!